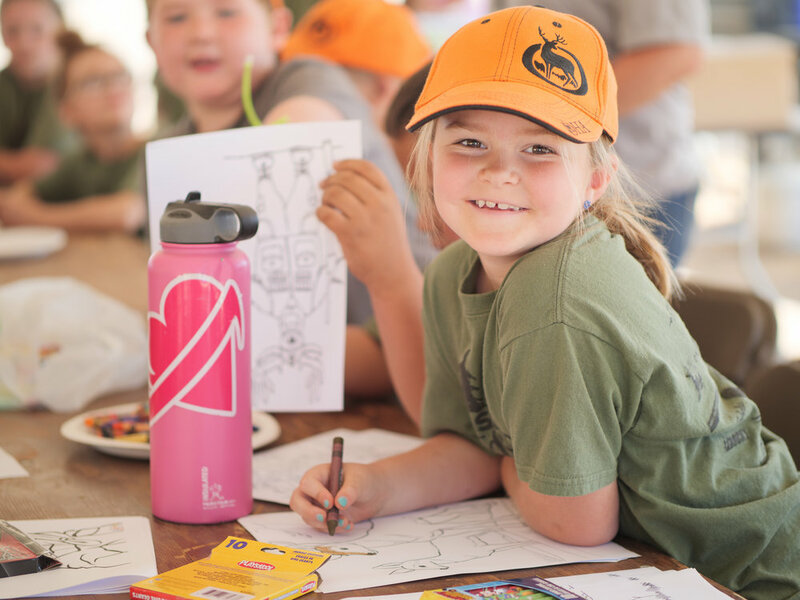 Raise 'Em Outdoors Camp is a two day and two night camp. 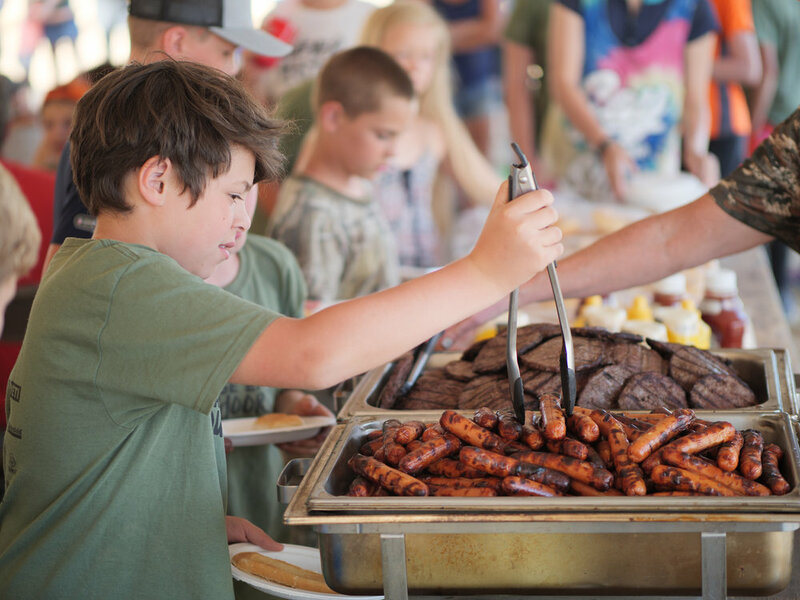 Kids of all ages will camp over night with their family at the event location. 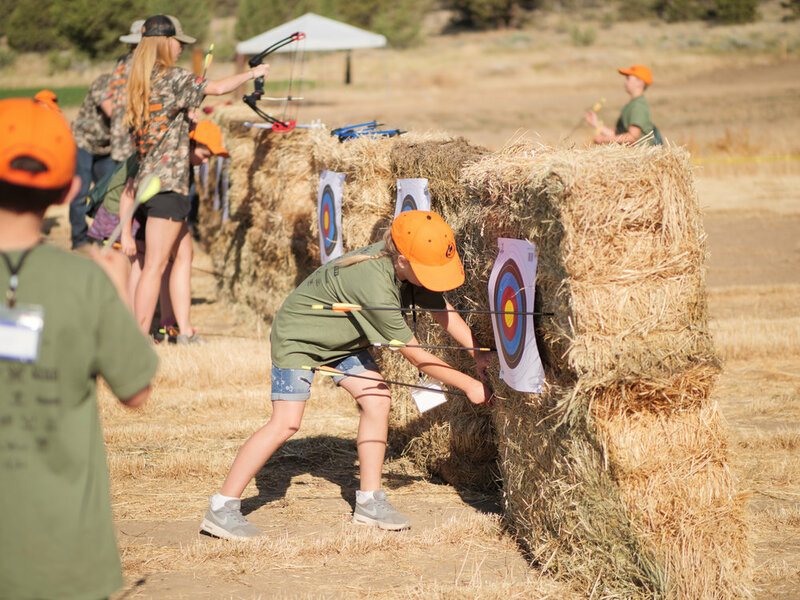 The kids will spend two days learning archery, fishing, rifle marksmanship, wildlife conservation, and many other outdoor events planned for the weekend. Parents will be right a long side with their kids through out the day learning along side them and/or being involved as they would like to. 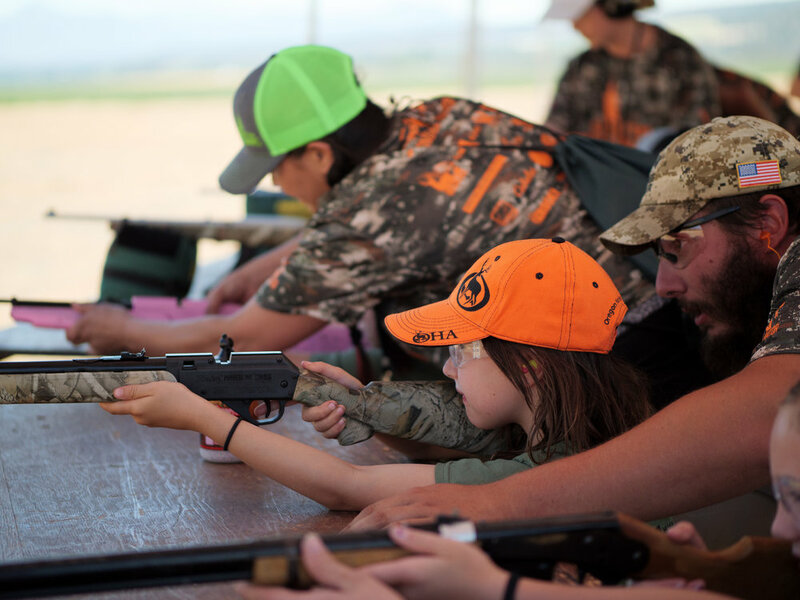 Our goal is to introduce hunting, fishing, and enjoying the outdoors with your family through our camps. We encourage even those families who are already active in the outdoors to come as well, to further your experiences and help reach out to new families coming for the first time. We look for volunteers who are passionate about our outdoor heritage, and skilled in the activities we offer. Our volunteers care as much as we do about sharing this with the next generation, and they are the what makes our camps so special. Tents or RVs will be needed depending on location, camping fees covered with registration fee. All meals are included except your snacks. Activities typically run from 8 am till around 3 pm Saturday, followed by a break for families to enjoy camp doing what they please. A large cookout is then hosted, followed by Outdoor Films on the projector screen! So bring your camp chairs! We finish off Sunday with more camp activities until noon, and follow with a closing ceremony and awards! Everyone will spend time learning about fishing. 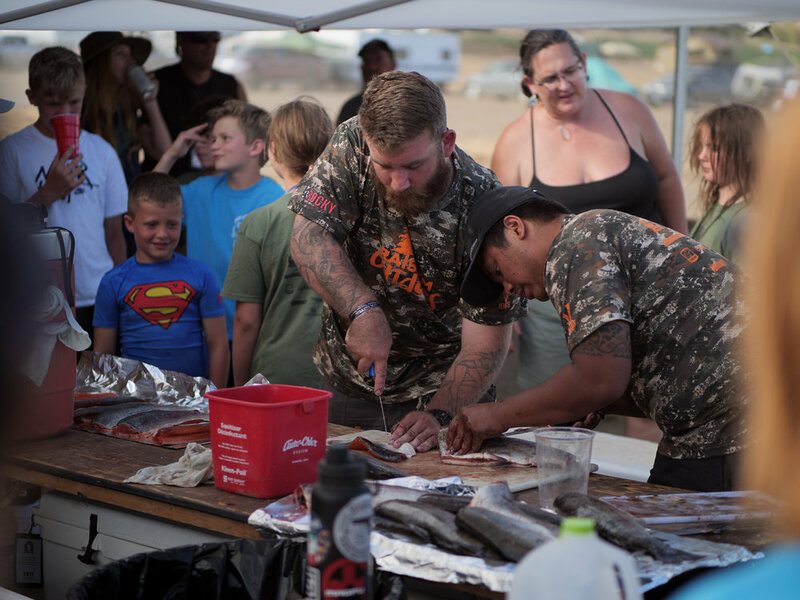 From casting, tying knots, lures, ethical fishing, and all about the aquatic life that resides in the river or lake we are hosting the camp on. Kids will also get a chance to learn how to cast a fly rod as well as learn how to cast spinning rods, bait casters, and push button rods. Depending on the location of camp, we will have a fish cleaning station and everyone will have the chance to learn about cleaning and caring for their fish to take home to eat, or grill Saturday night at the cook out. You can bring your own fishing rod to camp and fish as much as you like during down time or borrow one of ours! The Archery station will go over the basics of archery shooting, form and technique. Moving on to shooting at further distances. Archers will learn to score a target, shooting 3D targets, and where the sport of Archery can take you and how to get involved. Archers will also learn about the sport of bow hunting, , shot placement, and ethical bow hunting. We encourage you to bring your own bow if have one, this way if your child is already an archer they can learn on their own bow and improve. Parents can also bring bows and shoot with their kids during break time. The Rifle Station will range from bb guns, .22 rifles, long range rifles, and clay shooting. Depending on age and skill level. Kids will start out shooting air rifles or bb guns. Learning the basic safety rules of shooting, shooting etiquette, and how to safely operate a firearm. Each day safety briefs will be reiterated and a large part of the course. 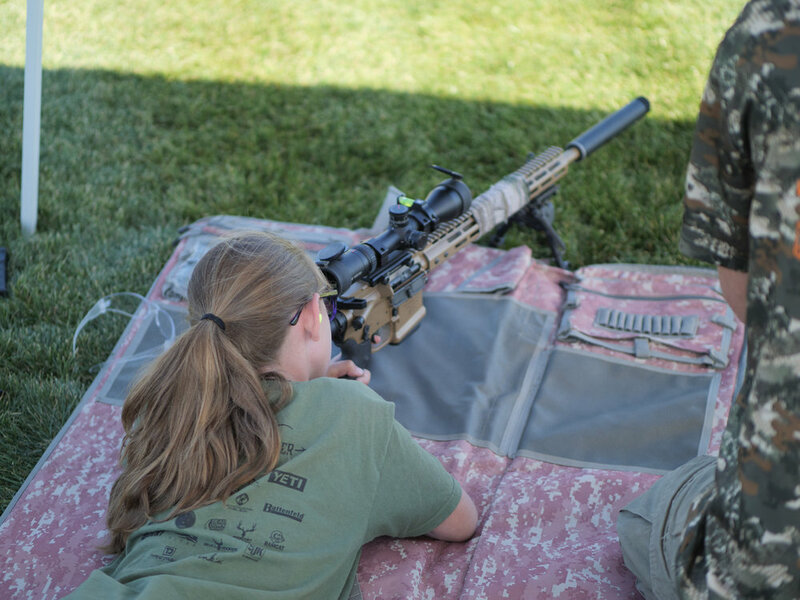 After basic skills we will move on to target shooting, scoring targets, larger rifle and longer distances of shooting. Each camp will be different. 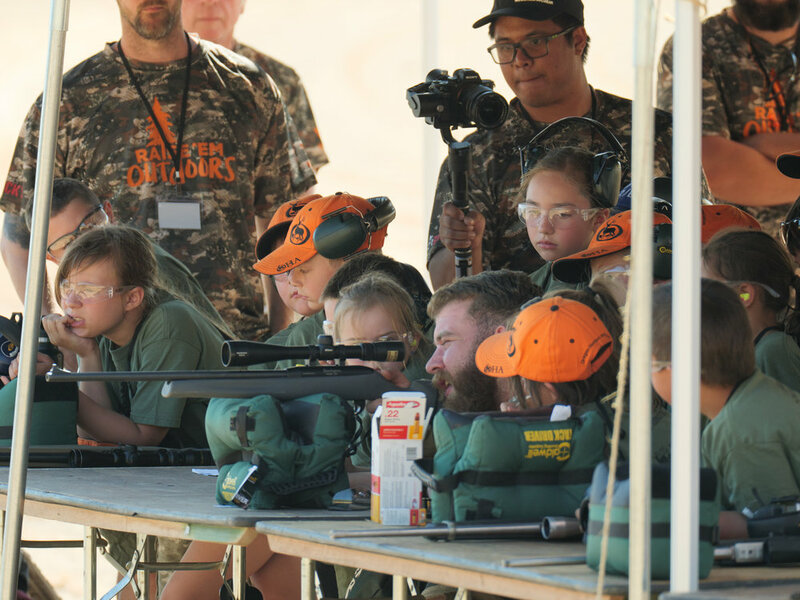 Some camps will offer long range shooting and clay shooting for the kids as well. Younger kids in the 3-6 age group will stay with the bb guns and air rifles and .22’s. 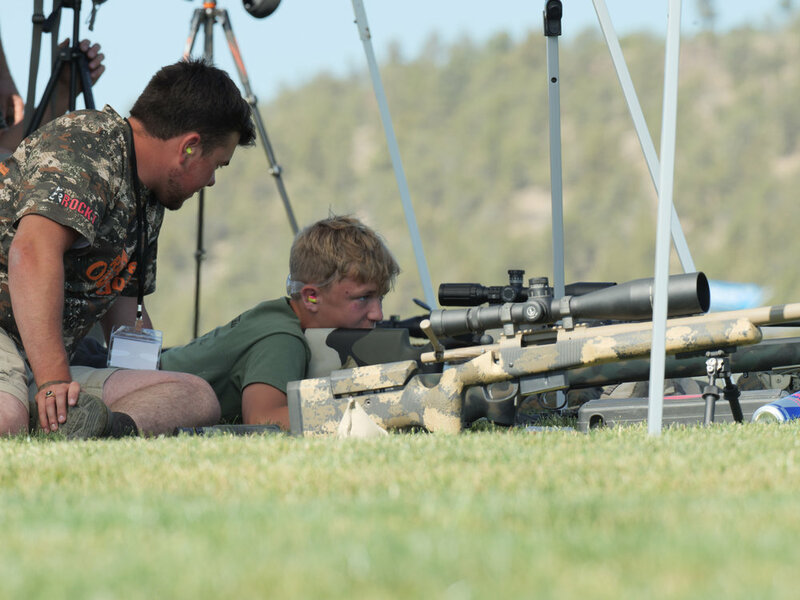 Shooters will then learn about the world of shooting sports and hunting with a rifle or shotgun. Going over ethical hunting, seasons, and the many different game and seasons for hunting.